Today was a kitchen day, I like those days. 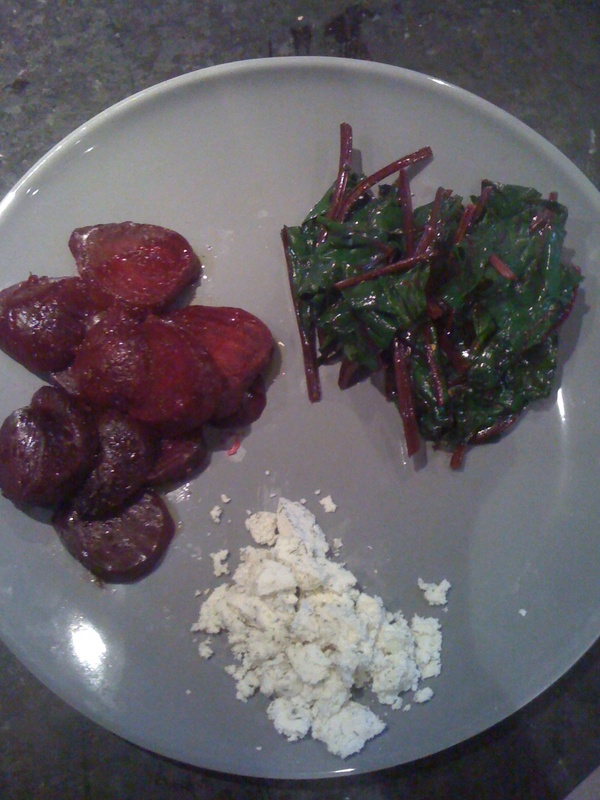 I picked beets from the garden on Thursday and was very eager to roast them and steam the beet greens. 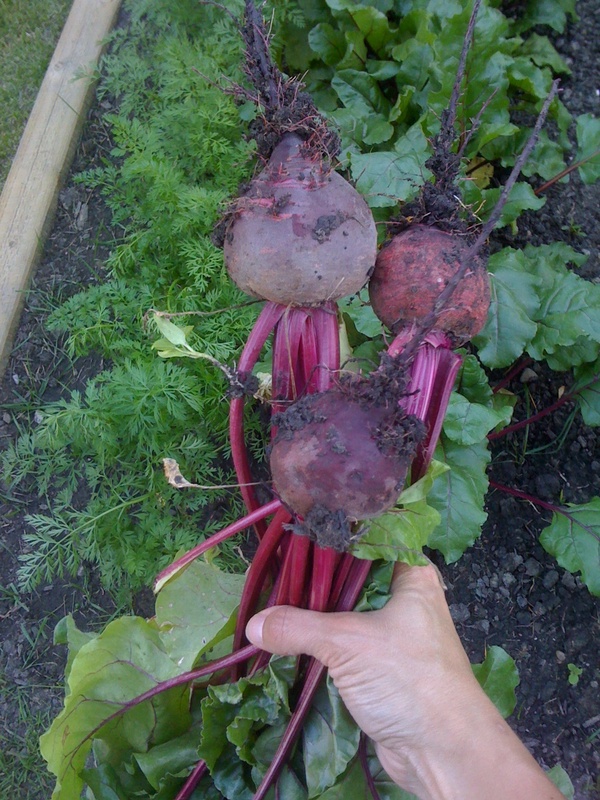 I found a nice Halibut recipe to go with the beets. I ended up creating one with the peaches and fresh cherry tomatoes. Sunday dinner became Pan Roasted Halibut with a Roasted Peach and Tomato salsa served with the star of the show, beets done two ways. Place whole beets on tin foil, drizzle with olive oil, vinegar, thyme and salt and pepper. Seal tightly, place foil package on a cookie sheet and roast in a 425 degree oven for 90 min. Remove from oven, open foil, let cool until you can lightly scrape the outside skin off the beets. Cut into 1 cm slices and drizzle with olive oil, lemon juice and salt and pepper. Heat the garlic in the olive oil on medium heat in a saute pan. I just scented the olive oil with garlic, as I don’t like using too much garlic. You can use minced garlic if you’d like. I removed the garlic from the oil when it was browned. Add the chilli flakes, turn heat up to medium-high, add the beet greens. Saute, coating the leaves and then cover for 3-5 min, until bright green and wilted. I served the two dishes ‘deconstructed’, with Dill and Onion Goats Cheese we bought at Carmelis Goat Cheese Farm in Kelowna, on the side. Mmmm Sunday Dinner. How was your Sunday dinner? p.s. couple of blog changes, you can now share blog postings, click on the ‘share’ icon and choose your favourite way. Also, I have started to highlight links in another colour, hopefully that helps see them better.